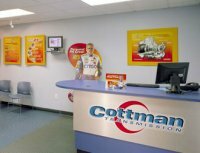 If you are looking for information on the Cottman Transmission franchise business opportunity, Cottman franchises or Cottman automotive transmission franchising, then you have come to the right place. With hundreds of locations from coast-to-coast throughout the United States and Canada, Cottman Transmission is North America's leading chain of transmission repair centers. 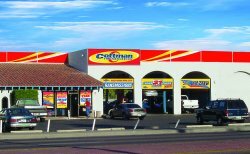 Cottman's service philosophy is the reason why millions of customers have trusted us to repair their vehicles' transmissions over the past four decades. It's also why Cottman is experiencing a record-setting growth rate. At Cottman, we know our customers have more important things to worry about than their transmissions. For the past six years in a row, our system-wide sales have experienced double digit increases, and each year our stores have set new sales records. As Cottman sets new highs in both its number of centers and sales per center, the company is well poised to continue its leadership role in the ever-growing transmission repair industry. There are over 200 million vehicles registered in the United States - compared to only 152 million 15 years ago. The average age of a car is now nine years - the oldest US fleet in history. The complexity of transmissions has resulted in more expensive transmission repairs, with the average cost of repair having increased from $750 just a few years ago to over $1,500 per unit today. You can be a part of the explosive growth in this industry as a Cottman center owner. You do not need any prior experience in the automotive aftercare industry and you do NOT need any mechanical ability. Owning and operating a successful Cottman franchise does not require any type of automotive background. Cottman owners are business people who have been extensively trained in the Cottman system. Cottman offers you a proven business ownership system and a 40-year track record of success. If you want to be your own boss and take control of your own destiny, Cottman offers you the opportunity to be in business FOR yourself, but not BY yourself. We'll provide you with the procedures, service and support you need. Your effort and dedication will determine your ultimate success. Cottman franchisees receive complete and total support. You will be assigned an Operations Manager who will work with you regarding ALL phases of the Cottman system. You will also be assigned your own advertising department representative, who will assist you to develop advertising plans that will focus solely on your market and the area surrounding your center. A comprehensive four-week training program will be provided, including three weeks at the home office and a follow up on-site at your center. Every aspect of your center's operation is covered in depth, from sales training, personnel hiring, and advertising, to balancing the books and trimming costs. Additionally, throughout the year, ongoing in-field training sessions for both owners and employees are conducted. Interested in becoming the owner of your own Cottman Transmission Center? Take a minute to enter the information below and we'll send you our free brochure and video. You'll see why this franchise is growing so fast! "If you are seeking to join a strong, growing organization, one that is sensitive, respectful and responsive to your needs, then perhaps you are facing the opportunity of a lifetime." "I like the fact that a Cottman center is a high margin, low volume business that requires only a small number of employees. I estimated it would take six months from the opening of my center to reach breakeven. We reached breakeven by the end of our first month, and we haven't looked back since." "My accounting background enabled me to recognize the financial rewards of owning a Cottman center. My husband is a practicing attorney, so I run the center on my own. I'm proof that owning a Cottman Transmission center isn't just a business for men." "Even though I've been in the Cottman family for 20 years, there are still plenty of times when I have questions or need help. Those times make me realize the value of being a Cottman licensee. I can just pick up the phone and talk to anybody at the home office. Plus, I can also call other licensees who are always willing and available to help."